If you’re looking to hide from the masses during next week’s First Night, look no further than a few blocks over in Fort Point. 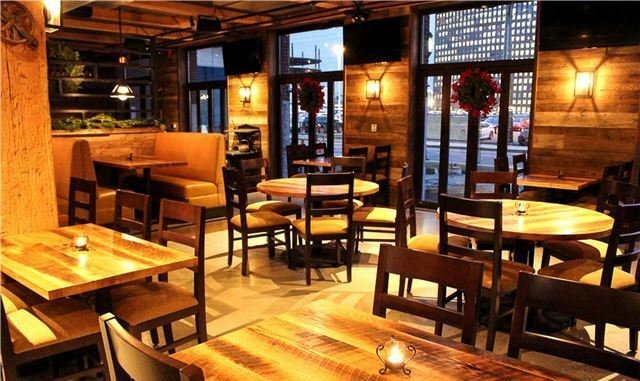 Philadelphia-based City Tap House will soft open its new Boston outpost on New Year’s Eve at 5PM. The pub will offer nearly 100 craft beers—60 on tap!—from local favorites like Harpoon and Aeronaut as well as those from small breweries across the country. Come for a pint, but don’t miss the pub grub! City Tap House will offer American-skewed fare like blue crab mac and cheese, wood-fired pizzas, and blackened shrimp and grits. The Daily Supper option will feature a special like chicken and waffles or a roast suckling pig each night of the week. The 6,000-square foot space has plenty of big screens for game days, and we hear there will also be an outdoor patio with fire pits come spring. In the meantime, drop by for beer and bubbles on New Year’s Eve or stumble in for their New Year’s Day Hangover Brunch. Essential Info: City Tap House, 10 Boston Wharf Road, Boston, boston.citytap.com, hours vary.